Tasnim – The lieutenant commander of the Islamic Revolution Guards Corps (IRGC) gave an upbeat account of how Iran will overcome obstacles, saying the political and economic problems imposed by the enemies would turn into perfect opportunities for progress. Speaking to reporters in the city of Damghan, 330 km east of Tehran, on Wednesday, Brigadier General Hossein Salami said the Islamic Republic has already raised to much more serious challenges in the past and turned threats into great opportunities to strengthen its defense power, political and regional influence, scientific growth and economic independence. Experience shows that steadfastness in standing against the enemies would turn pressures and threats into ideal opportunities for the Iranian nation, he added. 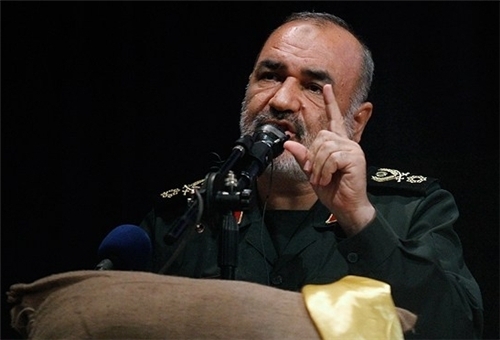 “Today, the situation is in favor of the Islamic Republic of Iran, and there is no reason for concern,” the commander said, stressing that all political developments in the region have contributed to the strengthening of Iran’s political power.